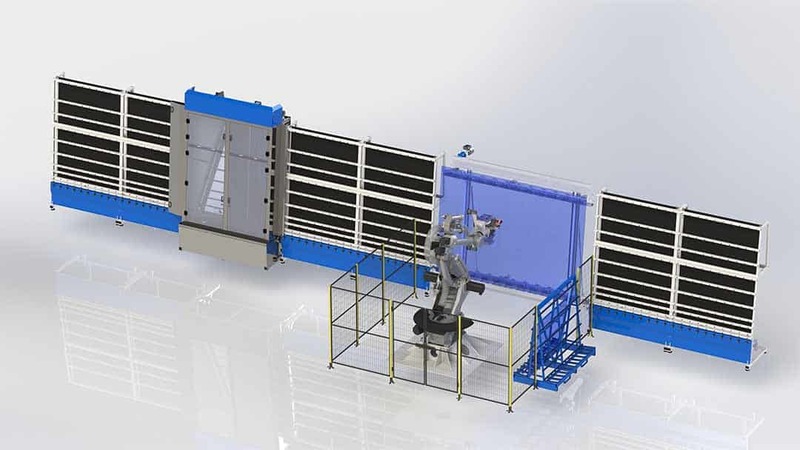 A fully automatic robotic glass handling and dry seaming solution for flat glass. 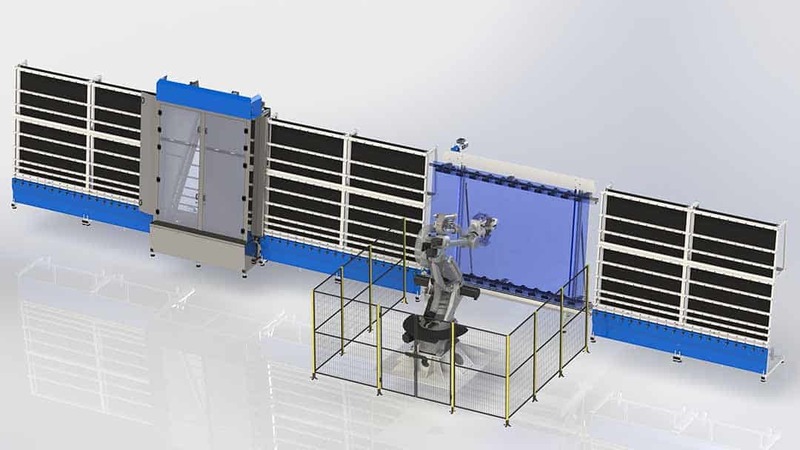 The Bravo series consists of a range of solutions based on the integration of anthropomorphous robots, as the core of the handling system, with a technological component, entirely developed by Neptun’s Automation Division, carrying out the actual processing job, all aiming at high automation and capable of supporting continuous 24/7 production. 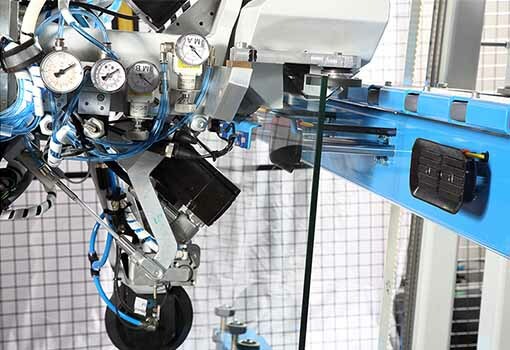 Bravoseam is an automated system for moving and seaming glass plates up to 3500x2500mm with weight up to 190kg, with an extremely small footprint. 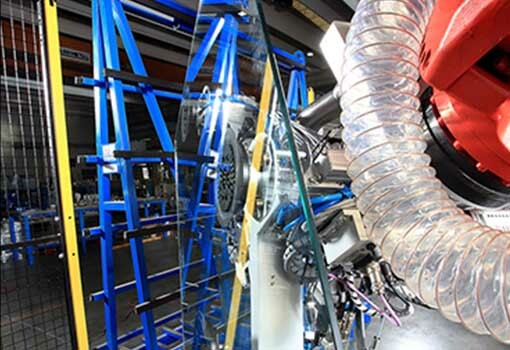 The new concept of dry processing introduced by Bravoseam allows you to work in a clean and dry environment without using water to cool the tools. The new diamond tool technology guarantees a high and constant processing quality up to the complete wear of the tool thanks to the use of cup tools. 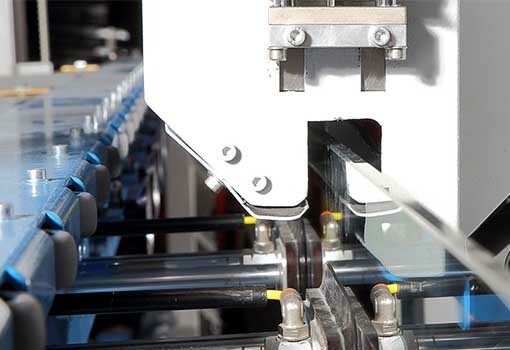 The systems great flexibility makes it possible to not only carry out seaming operations, but also automatic loading from a glass rack, in-line conveying and 90° transfer, thus easily integrating into any industrial environment. 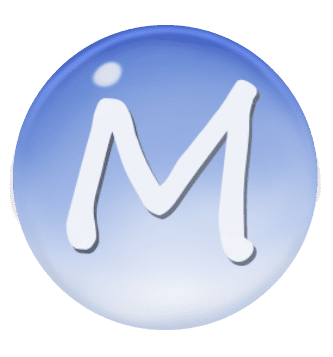 The entire system is designed to work continuously on three shifts, sustaining high production output with minimal and simplified maintenance.